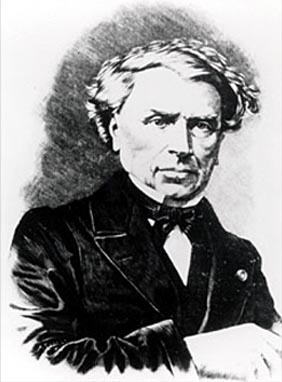 Louis Thomas Jerôme Auzoux (1797-1880), a French anatomist and physician, saw the need for highly accurate anatomical models, as an alternative to cadaver study, and founded, in the 1820s, a company to make them. Due to the great care and attention to detail that went into their manufacture, hand-painted antique Auzoux papier-mâché models are prized. 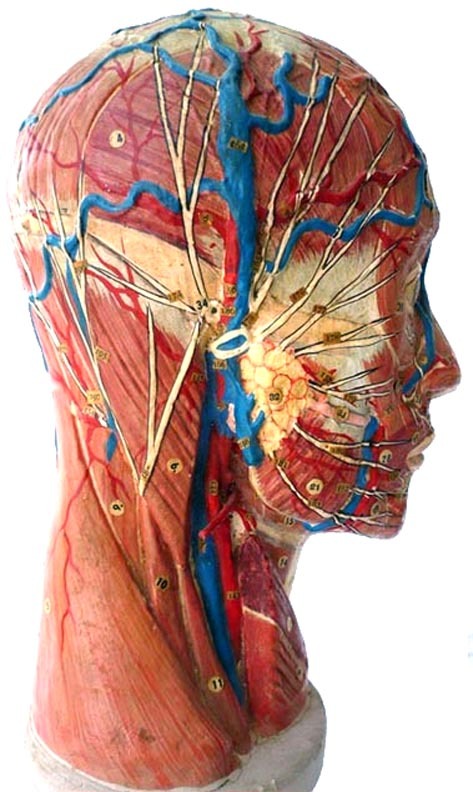 A scarce signed and dated 1855 antique anatomical model of the human head by Auzoux. The model is oversized (18" OAH) and termed greatly enlarged by Auzoux. The half of a human head is quite detailed and dramatic. First generation French Auzoux anatomical models are very desirable. 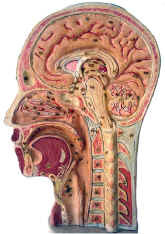 An Auzoux anatomical model of a bisected human head. 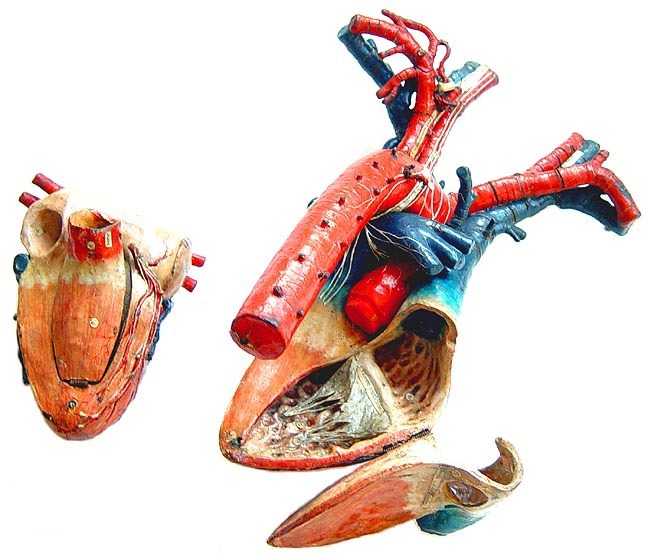 An antique anatomical model of the human heart by Auzoux, Paris. This over life-size écorché is highly realistic, as one expects from Auzoux, and it is the finest 19th century commercial model of the heart. 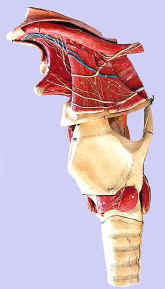 A remarkable Auzoux anatomical model of the tongue, throat, larynx, and windpipe. An Auzoux listing of the 1880s shows a Gigantic Larynx (twelve inches long)... and, sold separately but ...capable of being adjusted to the larynx..., a ...Tongue in the same proportion... 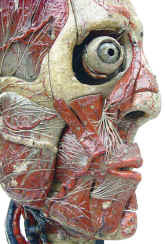 This papier-mâché model is 24 inches long overall, and it is a testament to the complexity of the best Auzoux écorché. 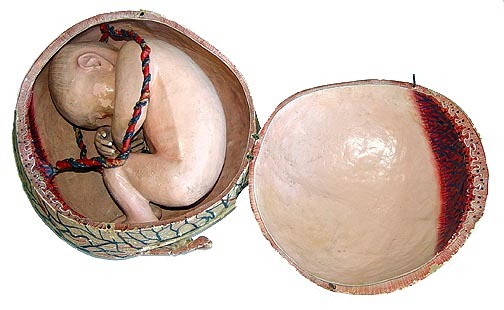 A rare life-size antique anatomical model of a uterus and full term fetus. 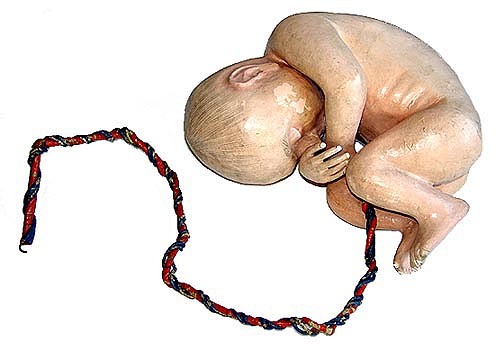 The model is signed by Auzoux (Paris), a company considered to be the finest commercial maker of anatomical models. 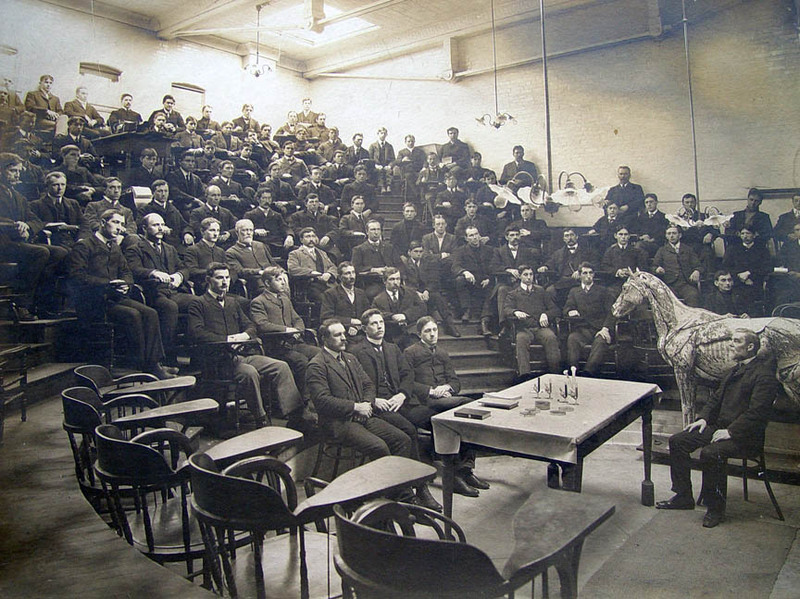 A c. 1900 photograph of Dr. James Law (1838-1921), America's first academic veterinarian, before faculty and students in the Cornell Veterinary College lecture hall. 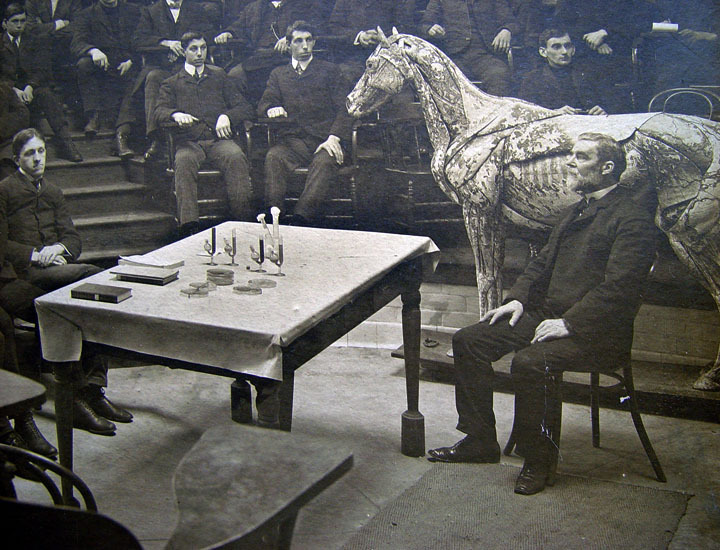 Note the Auzoux anatomical model of a horse. 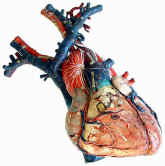 For additional Auzoux anatomical models and other antique models, visit the various sections of this web site.